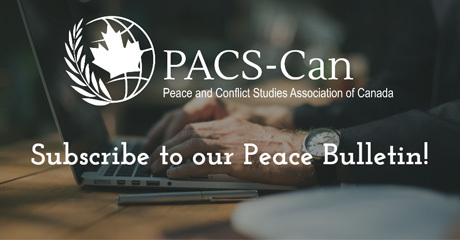 Thank you for considering joining PACS-Can! We welcome all individuals interested in working towards a more peaceful world. 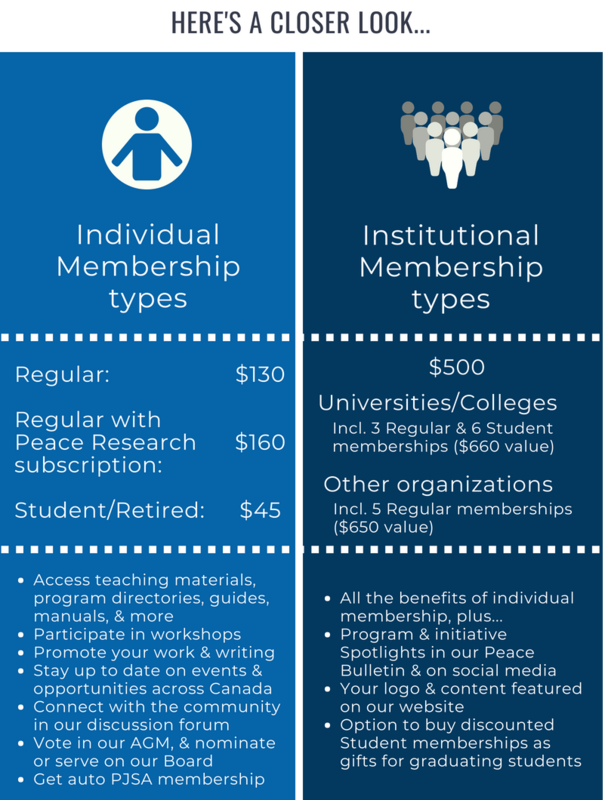 We have three membership levels to serve your needs: Regular, Regular with an online subscription to Peace Research, and Students & Seniors. We also recently launched Institutional Memberships. Contact us at info@pacscan.ca if you are interested in becoming an Institutional Member! STEP 1: If you know you’ll be with us for a while, choose one of the Auto-Renew memberships. If you’d like to join us just for the year, select one of the One Year memberships. STEP 2: Once you select your membership, fill out the registration form. STEP 3: Submit. You’ll then be taken to PayPal to complete your registration. You can pay with an existing PayPal account by logging in, or with any credit card (but you must have/create a PayPal account if you’re signing up for an Auto-Renew membership). If you are renewing your membership, make sure you are logged in before choosing your new membership plan.